Have you ever wondered what it’s like to play in a real live orchestra? Now’s your chance! 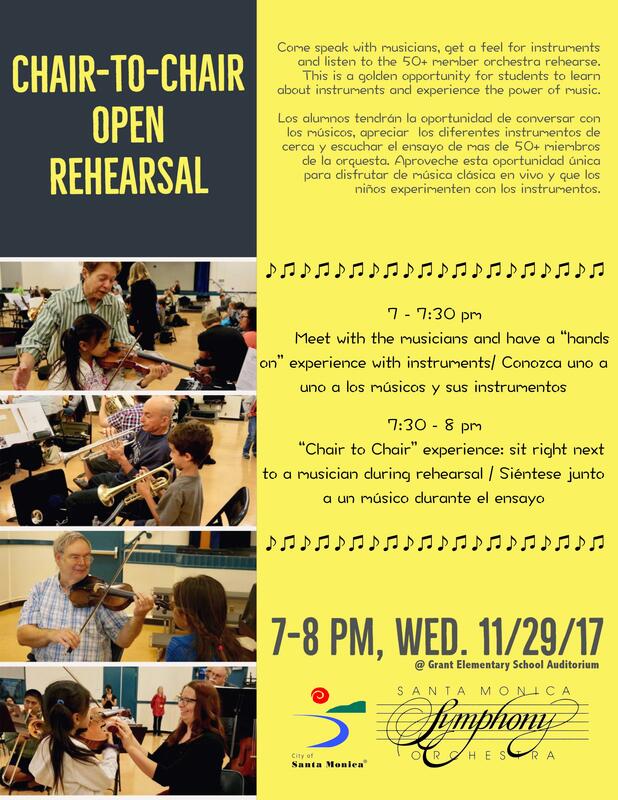 The Santa Monica Symphony Orchestra is hosting an FREE open rehearsal for elementary students and their parents on Wednesday, November 29, 2017 at 7-7:45 pm at Grant Elementary School Auditorium. You can get up close and personal with your favorite instruments, ask any question about music, and sit right next to an orchestra member when they rehearse. Have fun!